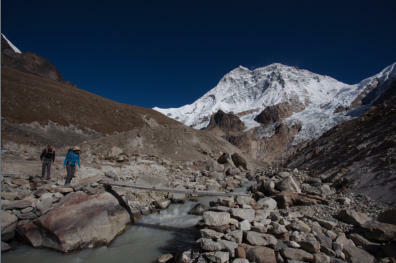 In 2012 I organized to go trekking to Makalu Base Camp in Nepal. The trip was to be a celebration of my 40th birthday (perhaps a little late..). I was looking for a region off the usual tourist trail but still offering the scenery and challenges associated with classic Nepal Treks. For those interested in the trekking aspect of the trip I wrote a blog on the experience which can be found at http://trekkingmakalu.blogspot.com/ After choosing the region I wanted to visit in Nepal I set about finding a tour operator that could organize the trek. I found a local organization named Makalu Arun Social Trek. Their offering was cheaper than traditional tour operators, were using some of their profit to support a local orphanage and expenses during the trek were paid directly to local people. To me it was a win-win, I get a cheaper trip and the local community benefits. Part of the itinerary arranged by MAST included staying in Khandbari for 5 days after the trek and volunteering at a local orphanage. The volunteering turned out to be visiting the orphanage at 7 in the morning and helping the kids with homework for about an hour before school. I didn’t see the kids much that year but it was more than enough to understand their situation and the help they need. I knew I would visit the orphanage and wanted to bring some gift. My bags were already at the weight limit for the internal flight as I was trekking for three weeks so I needed to find something small. I brought a couple of Rubik’s cubes - I figured they didn’t need batteries and they would be interesting for the kids. The day before we went trekking we visited the orphanage for a few minutes. I had the cubes in my hand and the kids were shy at first but following wondering what I as holding. I gave them the cubes and they wandered off figuring out what they were. I offered to show them how the cube works. I was immediately surrounded by all 12 kids with curious faces. As I was leaving I asked whom I should leave the cubes with. My first suggestion was a competition to see who could solve it before I returned 3 weeks later. I suggested giving one to the boys and one to the girls. I then asked who the smartest kid was. Rabin, the eldest boy, looked at me with an almost angry face. “What do you mean” he said, “we’re all smart”. I was really impressed by his outrage that I could potentially be questioning the smarts of any of his friends. After we returned to Khandbari there was a lot of downtime as the kids were in school and the volunteering time was so limited. I stayed with Tejanath in his house in the Naya Bazar area of Khandbari. Tejanath sent me to visit a number of schools in the area and I even taught an English class at the government school. During morning homework sessions I could see some of the kids were less than attentive whereas Rabin was deep in his books and studying. I was impressed that a kid with no adult supervision and nobody telling him to study had figured out that education is the best way to take control of his own future. As I visited the different schools in the town I recognized many of the orphanage kids in their classes. The majority were sitting in the back row. When I went to Rabin’s school I found him front and center. One evening I was sitting in Tejanath’s house and chatting about the kids. They are pretty well looked after right now. Tejanath raises money through MAST and through SESF (another charity he runs) which help pay some day to day costs. 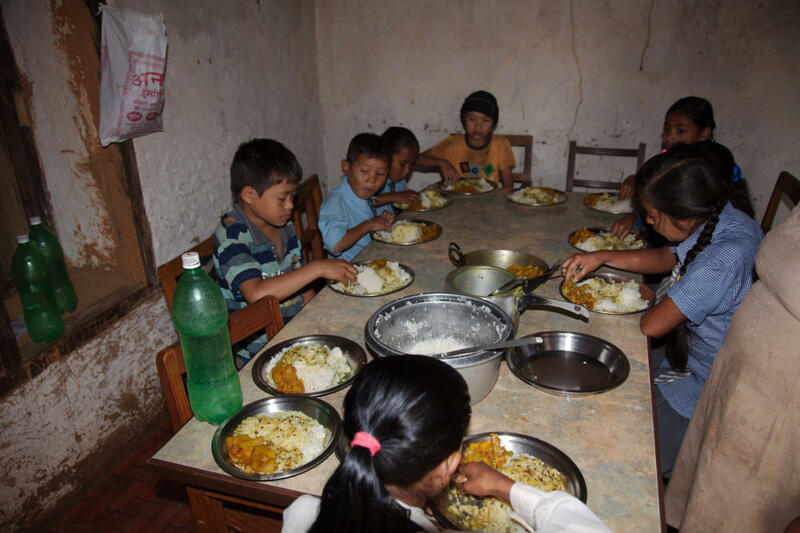 There is an organization named Makalu TrishaktiSamuha (MATS) that actually runs the orphanage. 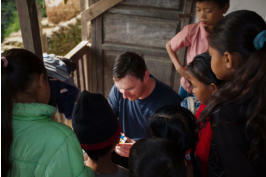 They receive funding from the Nepali government and local VDC. Government school is free and many of the children have been given free spots in local private schools. The food the kids receive is very basic (rice, lentils and potato twice a day) and their accommodation is also basic but this is true for many people in the region. I wasn’t so concerned about their current status but more their futures. One thing that struck me is that there is no industry in the region and jobs would be very hard to come by. The town has a police station and an army barracks but other than that most people seem to run shops where only family would be employed. I asked Tejanath what the plan was to move the kids on from the orphanage as they get older. His answer was “send the boys abroad and marry the girls off young”. One of the guides we had on our trek had worked abroad for three years. There are companies that recruit Nepali kids that have a basic level of education. They arrange visas, jobs and accommodation. The problem is they then charge extortionate rates for those services. Our guide had worked in Malaysia for three years and returned to Nepal without earning a penny for himself. To me it amounts to modern day slavery. For the girls I fear the future may be even more bleak. 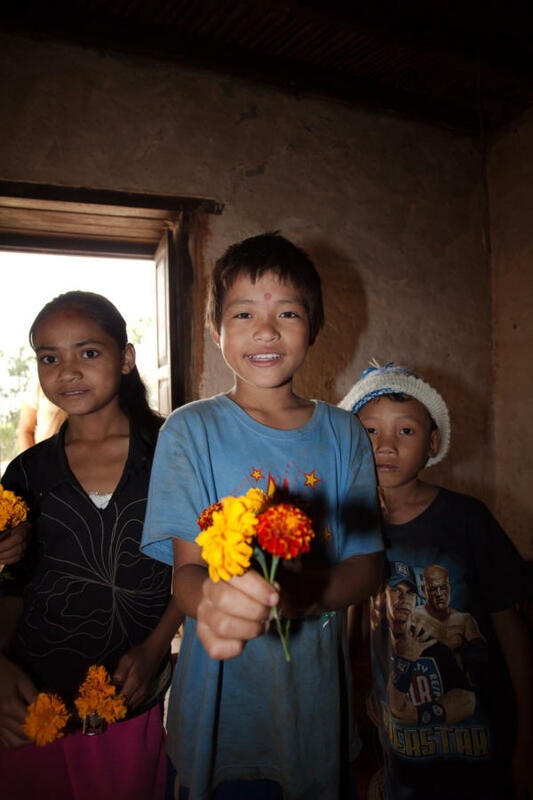 Nepal has arranged marriages and also still has a very strong caste system. When women marry they pay a dowry to their new husband. I can only imagine that girls from the orphanage, from lower castes and not having money for a dowry would not be married to the classiest gentlemen in the town. 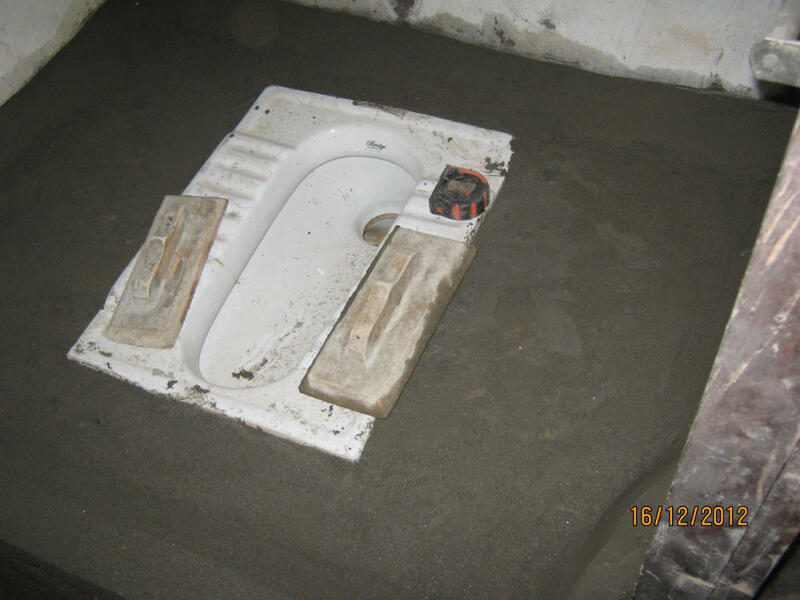 While I was in Khandbari I decided I wanted to help in some way. I promised Rabin I would fund his education through college. He wants to be a doctor and I believe he is both smart enough and caring enough to be a very good doctor. I had Rabin sign a deal. I included the usual type of conditions such as maintaining good grades and also included that he must help others when he is finished his education. I have asked that if he successfully completes a medical degree that he would serve in the local community for a number of years to provide a much needed service. Not long after returning home I received Rabin’s next report card. He was ranked number one in his school year. It is still my intention to fund Rabin’s education personally. Whilst in Khandbari that first year I also committed to paying the rent for the orphanage. I figured local people should be able to provide food for these children who are after all from their own community. Raising cash to pay for the building could however be difficult. 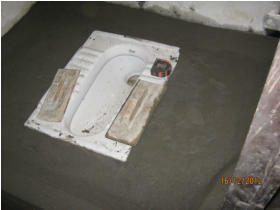 I also organized to have a toilet installed in their house. They had been using a rather nasty outhouse - so nasty that I think some of the kids were using the bushes instead. When I returned to America I felt guilty. I had singled out one of 12 kids and guaranteed him a future but still left the other 11 in the same predicament where I had found them. I knew I couldn’t afford to support all these children alone. It was at that time I decided to form a 501(c)3 organization and raise funds to give the same opportunities to each of the children.